Fire up the look of cooking in your home with Avon Kitchen & Home, Kitchen Helpers, Holiday Decorations, and other warm and fuzzy items just you make your home more friendly, and inviting. Avon Kitchen Helpers add a splash of color to what seems like ordinary utensils. But look closer, the Avon Home department has made these items with innovative materials, and made them more useful. Avon Home Style in your Kitchen for the novice foodie in you. Impress guests with brightly colored food slicers, and innovative over the sink cutting boards. Shop Avon Home here, if you are having trouble with this page. This page has inner and outer scrolling! look carefully! Any questions please call me ! 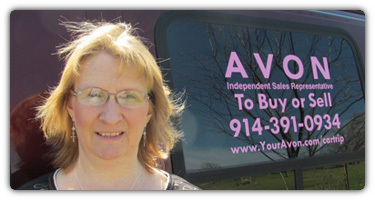 ~ Thank you for Shopping my Avon Online Store With Cindy! Maintaining the quality you have come to expect from the Avon name! I have a number of these food prep items, and I can say they do make working in the Kitchen a little more fun! you get my support for FREE on my team! Become An Avon Rep On My Team! This is the site of an independant Avon Representative, and not part of Avon Inc., All rights reserved. Buy Avon Online using this page or go to my Online Avon Store directly. Thank you & Happy Shopping ! Please do your own work and Do Not Copy this site. © 2019.